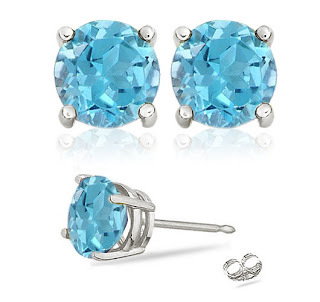 Get this beautiful 2 Ct Blue Topaz Sterling Silver Stud Earrings + Gift Box for only $2.99 on 1SaleADay! These earrings were marked at $89.99. Get this 97% discount before the sale ends on 8/29/11 12 am EST. Click on the link below for this deal.